From high up on the Cliffs of Moher to down under ground in Doolin Cave with its Great Stalagtite, there is a large range of activities to do and sites to see in Doolin and Co. Clare in general. Without doubt, Doolin is one of the most scenic areas in the world, situated on the edge of the Burren landscape with only the Aran Islands and the Atlantic Ocean to the West. Doolin is famed for traditional music. Some of Irelands finest musician's play in the local pubs each night of the summer season. Many memorable nights can be spent enjoying the entertainment in the pubs close to our B&B. 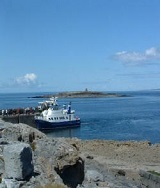 Passenger ferries run daily to the Aran Islands of Inishmore, Inishmaan and Inisheer from Doolin Pier. There are also cruises along the cliffs that depart from the pier daily. The cliffs are home to a myriad of wildlife and many species of birds. If you prefer land to sea then there is a cliff edge walking trail with guided walks daily if you would like to learn some history of the area along the way. There are many cycling routes around North Clare to see a little more of the scenery than you might see while travelling by car. Surfing is very popular around Lahinch(10km), Fanore(14km) and Doolin and there is surf schools and equipment available. Sea kayaking is another interesting way to spend a few hours or a day touring the Co. Clare coastline. There are a couple of horse riding centres in the area also. There is an 18 hole Pitch and Putt course in between Fisher Street and the Pier. For the avid golf fan, Lahinch Golf Club, one of the worlds classic links courses is only 10 kilometres away. 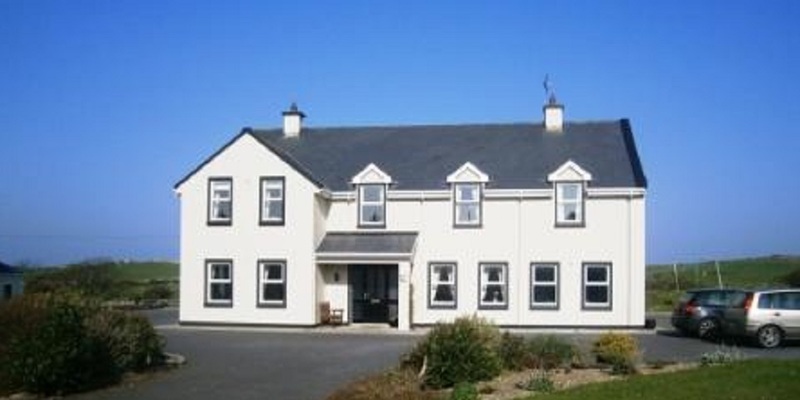 Doonbeg Golf Club is a little further south but not too far away.